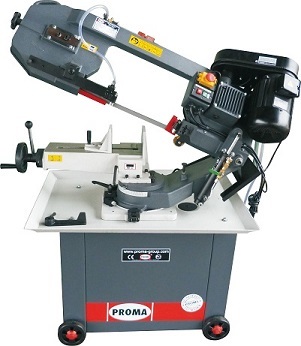 CNC automatic bandsaw,hydraulically driven. Mitre cutting from 0° to 45° left in automatic cycle and from 0° to 60° left in semiautomatic cycle. Metal band saws are used for cutting all commonly used materials of aluminum and its alloys, and non-ferrous metals to high strength steels. They feature solid construction and high performance while maintaining a small size and mobility.